In this blog, I’m going to explain how to calculate the “VAT cost” of your property development. The “VAT cost” is the difference between the amount you pay on your costs and the amount you can claim from HMRC. The VAT cost of any property development is based on three main principles. Understanding these principles will help you to manage the VAT side of the development and avoid making mistakes. It’s a simple bit of logic, but a lot of the common mistakes made by developers happen because they don’t understand the whole picture. For example, many developers are very good at understanding when renovations qualify for the 5% rate, but still think that they can claim the difference between the VAT rate of 20% and the 5% charged by their contractors on renovations from HMRC. They can’t. The amounts involved are often large – in one case, a developer’s costs suddenly became 16% higher than they’d anticipated because HMRC the conversion didn’t meet the very strict “qualifying” criteria. In another case, a DIY converter’s VAT cost increased by more than £30,000 because HMRC refused his claim for VAT on the purchase of an old pub, even though it was converted to his family home. So how do you work out the “VAT cost”? Step One: How will the property be used when it’s finished? One of the first things you need to establish is what the property will be used for AFTER the development has finished. It might seem odd to think about the finished property before you’ve started building, but this is how the VAT rules work and this is the starting point for any VAT issue. There are actually two aspects to this question and whether the conversion or renovation is “qualifying” for the zero rate or the reduced rate: the first is the physical use of the property, will it be a dwelling or for other residential purposes, or a commercial property. This issue affects how much VAT you have to pay on the construction work? The second is the “legal” use; will the finished property be sold or leased and what is the VAT liability of the income? This determines VAT you can claim from HMRC. Step Two: How much VAT do you have to pay on contractor’s fees? Most people know that “new construction” is zero-rated, which means that your contractor doesn’t charge VAT on services and goods used in conjunction with those services. However, if you’re renovating or converting a dwelling, whether to live in or sell, you need to know whether you’ll be paying either 5% or 20% on contractors’ fees. There’s a big difference between 5% VAT and 20% VAT, so it’s important to understand exactly when the reduced rate can apply. And even if you CAN claim VAT on the costs from HMRC, whether as a DIY conversion, or as a business cost, you can only claim VAT that has been correctly charged. So you have to make sure you’re only paying 5% VAT wherever possible. The VAT rate charged by your contractors depends on what the property will be used for afterwards and whether their renovation or conversion meets the “qualifying” criteria – for example the “two year unoccupied” rule for renovations or whether the conversion means that the property will be used for different residential purposes. Step Three: How much VAT can you claim from HMRC? Whether you’re a DIY builder/converter, or you’re developing as a business, the final part of the equation is how much VAT you can claim from HMRC. Either way, you can only claim VAT in very limited circumstances. If you’re converting or building for personal use, (“DIY” or “self-build) you need to make sure that your development qualifies under the DIY scheme. For example, conversion services might qualify for the reduced rate, but the conversion itself might not satisfy the criteria to claim the VAT charged under the DIY scheme. Commercial developers can only claim VAT on new construction if they sell the freehold of or grant a long lease (over 21 years in England & Wales, over 20 years in Scotland); while developers doing residential conversions can only claim if their conversion meets certain strict criteria. 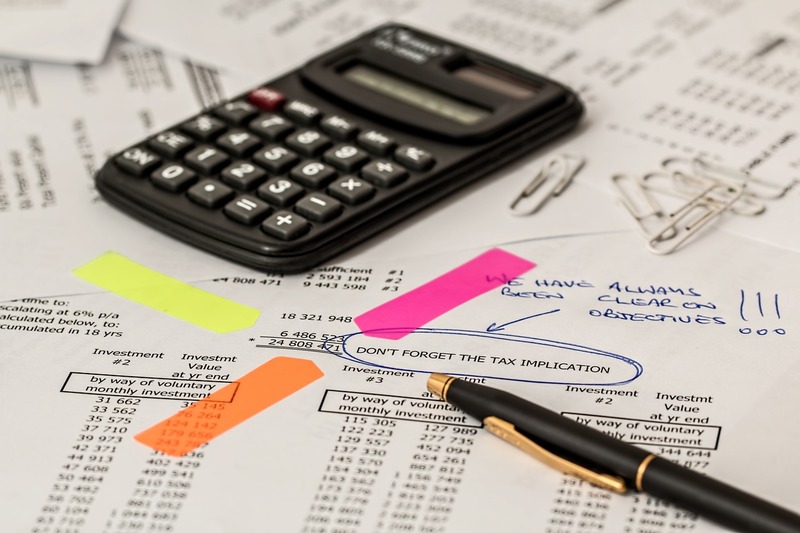 Of course there are other financial VAT issues to consider as you go along – for example how you deal with the cashflow between paying your contractor and claiming the VAT from HMRC; or whether you have to carry out partial exemption calculations. These will all affect your VAT cost and you also have to factor all of this into your broader budgeting; for example you might be relying on a VAT refund to pay your contractor, but HMRC delays the repayment while they ask for more information. But understanding the basic principles and how to calculate the basic VAT cost from the beginning gives you a lot more control over things, especially if there are any unexpected surprises during the construction phase. Previous Post Are you buying contaminated land?